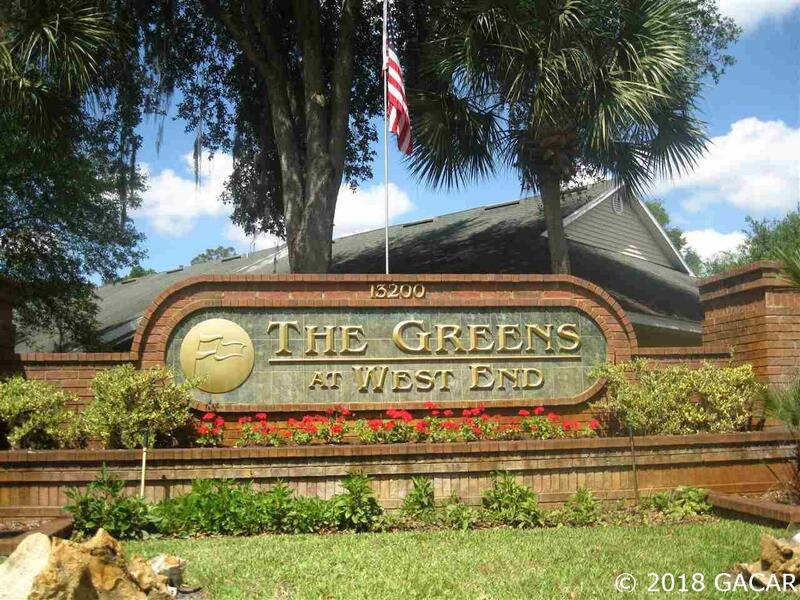 Gated community surrounded by golf course and across the street from Tioga Town Center. Beautiful landscaping throughout the community. So many amenities to enjoy including pool, jacuzzi, tennis courts, fitness center and clubhouse. Skylights create an appealing brightness. One-car attached garage leads directly into the unit. Screened back patio with storage area. Whether you are an investor or plan to live in the unit, this condo has it all! Easy commute to Gainesville, UF, Oaks Mall and hospitals. Call today to schedule a showing. Listing provided courtesy of Glanzer Realty Llc. © 2019 Gainesville MLS, Inc. All Rights Reserved. Information deemed reliable but not guaranteed.The Broker Reciprocity logo designates real estate listings held by a brokerage firm other than Pristine Properties. IDX information is provided exclusively for consumers' personal, non-commercial use and may not be used for any purpose other than to identify prospective properties consumers may be interested in purchasing. Data last updated: 2019-04-24T18:06:58.12. © 2019 Dixie Gilchrist-Levy Counties Board of Realtors® MLS. All rights reserved. IDX information is provided exclusively for consumers' personal, non-commercial use and may not be used for any purpose other than to identify prospective properties consumers may be interested in purchasing. Information is deemed reliable but is not guaranteed accurate by the MLS or Pristine Properties. Data last updated: 2019-04-24T17:53:55.947. © 2019 Citrus County Association of Realtors. All rights reserved. Based on information from the Contra Costa Association of REALTORS® MLS as of 2019-04-24T17:54:42.607. All data, including all measurements and calculations of area, is obtained from various sources and has not been, and will not be, verified by broker or MLS. All information should be independently reviewed and verified for accuracy. Properties may or may not be listed by the office/agent presenting the information. IDX information is provided exclusively for consumers' personal, non-commercial use and may not be used for any purpose other than to identify prospective properties consumers may be interested in purchasing.